From the heart of the late '70s / early '80s British underground scene, an extraordinary album at the very edge between art-rock, and punk. The Work were a full electric band featuring Tim Hodkinson, his very first project after the seminal experience of Henry Cow, and three younger maverick figures from the London underground scene. Guitarist Bill Gilonis (The Lowest Note, News from Babel, The Hat Shoes), bassist Mick Hobbs (Officer, Half Japanese), and Drummer Rick Wilson (Family Fodder). The Work embodies the crucial step between two unrepeatable decades in music. An unprecedented mixture of rock complexity and punk attitude. 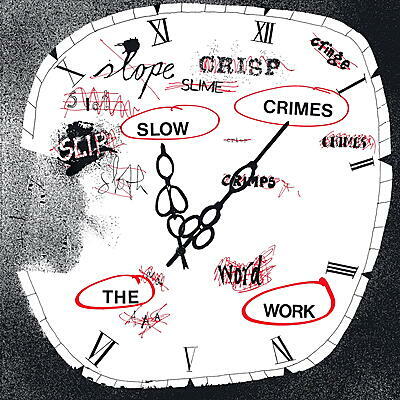 Unapologetically raw and direct, Slow Crimes, The Work's first album originally released in 1982, stands as one of the most essential and uncompromising pieces of vinyl in the field of experimental rock. This is a special edition LP + CD + printed inner sleeve with unpublished pictures and various memorabilia. The CD contains the album + 4 extra tracks from The Work's first and only 7" including the anthemic "I hate America".